Electrical - What would Dennis Do? So why do some single phase units have start relays where as others do not? Simple higher motor starting torque due to typically higher compression lock. Except air conditioners where they use no start relays due to much nicer compression ratio's and get away with permanent split capacitor motors. When we have much more higher torque , higher power compressors we cant use those nice current relays. Unfortunately you just cant put a relay winding in series with a run winding on a big motor and not expect to get horrible volt drops. 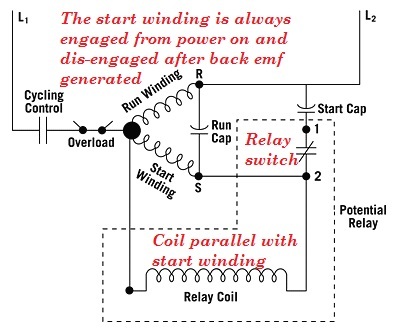 The potential relay solves this problem by using having a coil that disengages the start winding by back emf (potential voltage) and not current. The back emf created is very high and can be up to 300Vac or more to operate them, this way the compressor windings being resistive and inductive are not inhibited by additional external resistances as in a current relay. The high back voltage created by the compressor rotor inductive fields become the relay coil induced voltage to trigger the switch. Now many are quite scared of working on these because they are a little black box of mystery. Well there are very few things you need to know. 2 - The start winding is always engaged in a de-energised state, through a normally closed switch controlled by the relay coil. They are NOT like a current relay where the start winding is open circuit in the de-energised state. 3 - Typically they are at peak back emf voltages at around 75% rpm and should disengage the relay switch opening the start winding. 4 - Mount them the right way in the electrical box because they are still weighted for disengagement like a current relay. 5 - Wiring them the wrong way can burn the motor out fast. Your multimeter can measure the relay coil and the switch as they are really very nice to you providing you with the contact points on the relay itself. Service checks are very easy. These little beauties rarely fail, normally it is fusion that will do them in, they are very well built. I don't remember many failing at all. Current types can be more pedantic. Now you need your electrical interpretational skills to read the diagrams, once you get to this type of relay, you have start and run capacitors as well. Wiring image below from achcrnews.com - edited for this page. 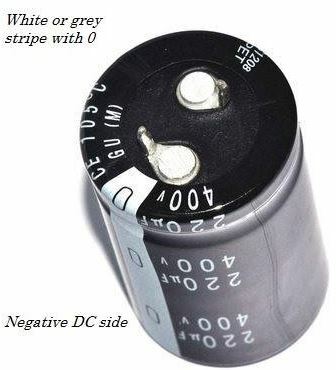 Electrolytic capacitors are used on DC electronic and electrical circuits. For many you have likely seen them on inverter AC units. Some of them charge to 600 Vdc or higher. Typically most are around 300vdc used in most household splits systems. Now electrolytic capacitors differ from others types such as plastic film ( electric motors) and tantalum (thermostat sensors). A capacitance value depends upon area of plates, plate distances and the type of dielectric insulator used in any capacitor. Electrolytic types have one of the best di-electrics since it is formed during manufacture by passing a DC current through the capacitor. 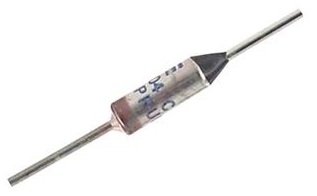 This makes them a very thin dielectric giving the capacitor high capacitance ability for its size. Its not just good you knowing that, failure to identify and wire the right connections from the unit your servicing can lead to disastrous and unwanted effects. Destruction of newly installed or existing pcbs and backdamage to other components. You will usually here a crack from the short out but if not it can also be a silent destroyer where no leds will light up on first power up. Most manufacturers have taken the need for you to remove capacitors as they are permanent to the pcbs but you can wire up DC polarity incorrect before the capacitors through active circuits or power modules. It is important that anything you do with the DC part of a split system be checked for polarity. Good news is that a lot of new splits I have seen are internally configured so you are not always being placed in that position. Still check your wiring diagrams and always bear this in mind when you service/repair. If your just not sure , always best to contact the manufacturers technical divisions. What all the hype with permanent magnet motors? Whats slip......? Slip is the term where the induction motors rotor does not spin as fast as its rotating magnetic field. This leads to inefficiency and less torque ability. Now if you trying to get more for less here's how the inverter Ac crowd got around it. (built into the active power factor control) that will increase output voltage from normal mains 240Vac If you increase voltage you can increase motor torque in the compressor without adding more winding's , especially when there is not much room for more. Higher voltage = thinner wiring size and more turns. 2 - Use a brushless DC permanent magnet motor, where the rotor is a magnet. In this case the motor has no slip for field rotation speed and an increase in rpm plus displacement. 3 - Boost that with higher strength rare earth magnets such as neodymium that are 5 to 7 times stronger than ferrite magnets which provide high energy when exposed to other magnetic fields. 4 - Put a scroll compressor in at 3.5 times more compression per rpm compared to a reciprocating. Use a swing compressor that increases suction intake volume capacity with higher angular shift compared to a rotary. 5 - Use a complex driver circuit to detect the next field effect position rotor angle and fire the right winding's in sequence. 6 - Use a refrigerant with a higher critical point temp, latent heat of vapourisation , specific volume and requires less mass flow rate to do the same job with a lesser charge by weight. The COP is increased , the volumetric cooling effect increased. You can see how they are now achieving super efficient products. Many work on VAV or electric reheat systems with air conditioning. The premise is simple. Reheat cool supply air where needed using duct element heaters. We do not need full power to elements all the time, especially where the air temperatures are not too low in the first place. I'm a fan of resistive loads such as electric elements. For one they work perfectly with ohms law. I = V/R etc. I knew back then that a 24 ohm resistance would not blow a 10 amp circuit on a 240Vac supply Of course inductive loads throw those rules out a bit , but at least I had an idea what resistance was in range of ok.
Im also a fan of pulse width modulation , used in many things , such as inverter AC units or even heater energy control systems. Its simple, for eg if you half the duty cycle of an applied voltage , you get half the power , So a 1000 watt element becomes a 500 watt element where the input power supply remains constant. So many well known brands of temperature or staging controllers have PWM in built, which seems to unify at around a 10vdc switching control signal. 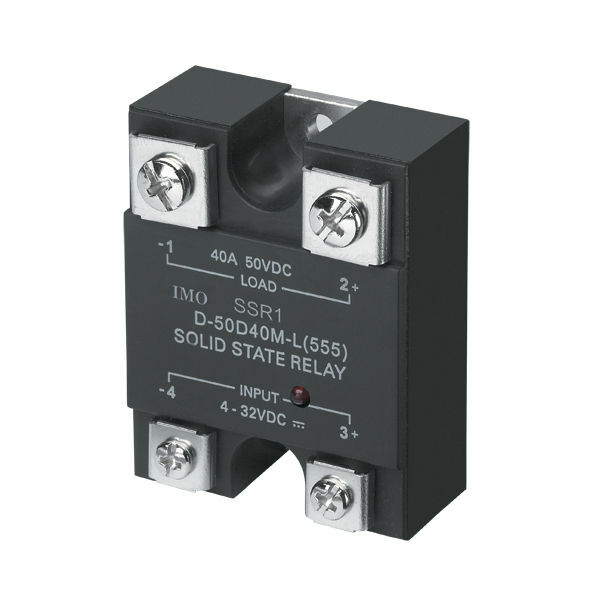 Enter the solid state relay , which can switch high resistive or thermal amps with a control voltage anywhere between 4 to 32 volts dc. Of course they get hot so they need cooling on heat sinks. You cant switch a contactor like that, or your going to ruin it quick mechanically. Not so a thyristor , triac based device. The speed of switching is applied to the relay trigger from the PWM generating device. The output becomes a sine like current flux which in turn alters the output power directly. If your solid state relay has a led indication for on and off, faster blinking means hotter as there is less interval between switching times. In any case your ampmeter will tell you the current and from that point using P=VA (power = volts x amps) you can determine the actual watts. Its a good thing for apprentices to work with this sort of maths and resistive loads is the easiest place to start. When a smart temperature controller that has PWM tech in built and a program that contains a P.I.D algorithm (proportional , integral, derivative) , you save money on electricity costs with electric reheat systems. Chances are , if you have one of these relays in view , the controller is not far... DDC or packaged type. Anyone heard of Innotech for one as an example. This tech has been out for years and embedded in the most basic looking of controllers. Hermetic compressors demand better protection as they increase in capacity. External thermal protective devices are replaced by internal devices such as inherent overloads. Inherent overloads are embedded into the winding's of the stator to be more absolute about thermal increases. When they trigger under overheat conditions they open circuit the compressor winding's from the common wire or phase wires on multi phase and give the impression that the winding's are open circuit or burnt out. In reality the chance of a full open circuit to all winding's is one in never. Before this decision is made, it is best to allow sufficient time for a reset when it cools downs. Unfortunately this could be as long as three hours or more depending on internal heat. When hermetic compressors trips out out thermal devices , they are still hot and actually increase internal heat after they shut off due to residual energy stored in the electrical winding . Lets face it , they are a heater element as well. This adds to the time of reset. The condenser fan is designed to run on after a thermal shut off to keep cooling the compressor down. A faster way is to use a damp towel or rag which is not dripping and place it over the dome to absorb heat quicker. We all know that without sufficient suction gas cooling on refrigerated hermetic systems they will overheat. The suction vapour is atmospheric to the dome and if you observe some designs they force flow across the stator with directional inlet suction tubes to the compression chamber. Most other designs direct flow where it is needed. Check your superheats folks , this is the only thing that keeps hermetic compressors in refrigerated applications alive. A compressor running an evaporator at 12K superheat will likely not last as long as a system running at 6K superheat. Worse on freezer systems with hermetic domes. Most think that overheating is a result of high head pressure from condenser faults , where in fact it is suction cooling and specifically return vapour temperature that is the real issue. Basically , the explanations on the web cover it , but there is around a 3ma leakage to earth on the casing of the inverter AC unit which allows the unwanted stray currents to be transmitted as a radio frequency signal. If you disconnect the earth from an inveter AC unit, you will find on a 240Vac unit (Australian) a half voltage residual of 120Vac to an earth reference. Now before anyone panics, these units meet electrical compliance standards and they have very high impedance to earth. But always remember , and this is important, that the majority of componentry on an Inverter AC is for electrical compliance to prevent power factor and RF/EMI issues. What is left on the pcbs is the logic based control system. Say hello to my little friend - The Current Transformer. Modern Inverter Air conditioners employ the use of protection logic to prevent unwanted compressor and/or system damage. Their arsenal is a logic based program that uses mathematical algorithms to predict problems in real time. Inverter AC units have thermistors around the system to monitor overheat/freeze protection and simulated HP/LP conditions rather than just rely on final stage protective devices such as overloads or pressure switches. The current transformer is one such tool. It acts exactly like an inductive clamp meter to measure current flow across the system and can be used in the primary AC or secondary power systems after rectification. Its can also use the CT to measure and look out for a minimum current value at minimum frequency conditions. The idea here is that if the compressor draws less at a lower speed it may be out of refrigerant or running low. No compression = low amps. This can generate a low charge fault error. Units placed in area's where the condenser airflow may be recirculated can also bring up head pressure and current as well. Typically the discharge pipe thermistor will sort that one out first but the current transformer will always be checking the energy. The CT can also be used in the secondary system where it measures phase balance of current to the U,V W outputs of a compressor. Like a rudimentary overload of a contactor. If you have those clever little transmission monitors that plug onto the comms line of an AC system , they will read the actual current value emitted by the CT. Always make sure you weigh in or add additional refrigerant as per the manufacturer specifications and use as much caution to prevent unon condensibles into the system. You might find the CT holding the system back without warning and always wonder why the compressor does not speed up at high load. So many times I have been to sites where these things have not been wired into service with the air conditioner (ducted or VAV) room thermostat. Now these things are very important , in fact they are designed to attempt to energy save, Without them many thermostats can be up to 1.2.c in error of the actual room temperature. Many thermostats accommodate two anticipators, using two different voltages , being 240Vac (Australian) and 24 vac for low voltage interface. Ok so what do they do? They are nothing more than a resistor which produces heat to accelerate the sensing of the actual thermostat thermal bead. By adding additional heat to the room thermostat sensor , effectively biasing it The thermostat will cut out earlier and the actual room temperature will be not quite at design. It does this for a very good reason. In cooling mode the unit will stop at set temperature early allowing the residual enthalpy left in the coil to bring it design conditions. So eg, a 24.c setting will stop at 24.5.c (or higher) as it thinks its reached setpoint. The remaining energy in the coil will bring the actual room temp down further to design and prevent overshooting of temperature. In the case of heating it will stop the unit heating around the 23.5 (or lower) and let the coils residual energy heat the room to design temperature preventing overshooting. This system acts as a sort of rudimentary dead band function using heat to trick the sensor. Now this is meant to stop swings of temperature and the lagging effect. Please note that electronic controller with high rate temperature sampling and predictive algorithms does all this anyway. These are really used in controlling wall thermostats which drive compressor run signals to a control circuit for a standard wired system. So you may think , ahhh who cares leave it out. The biggest reason they are not wired is that they require an AC negative or transformer common wire to complete the circuit. Not many wire them in, only the switching lines for compressor and reversing valve or the fan speeds. At the end of the day, its just an extra wire down the channel. Electronics in modern equipment, especially air conditioners and refrigeration controls seems to have little tolerance for high voltages. When using an insulation tester charged to 500 Vdc , despite its isolation transformer characteristics. if there is a an earth leakage , it can cause failure of switching devices and power supplies. "Metal oxide semiconductor , field effect transistors" and even other simple transistors. 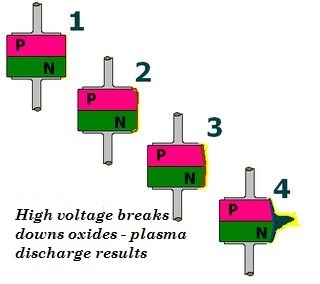 The result is a plasma discharge and damage to the component. Might be all of a 5 cent part you damage that can cost a $900 pcb replacement. By placing the high voltage across both A & N from the insulation tester at the same time, you eliminate any potential across these components by making making the charge at the same potential either side. 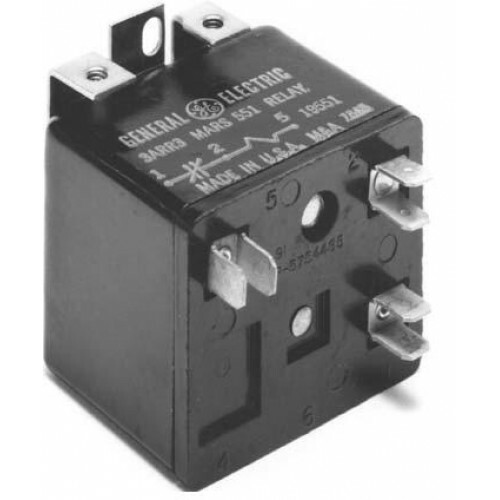 This creates a 0 volt difference, where there is 500Vdc on both active and neutral. Mind you removing the risk by not charging electronic components is much better. The risk is when the earth reference is present only from both a leakage current or a fixed earth reference in the pcb design. ​This is one way to overcome it on a single phase device. Here the earth clamps are on the Active & Neutral creating no potential risk , while the charge is applied to to earth. Now I would prefer that we do this other way but trying to get the charged line across the two pins at the same time might be difficult. And so how do you check some new DC brushless new ducted units? Ok... The new ducted motor is an inveter driven 3 phase motor and as such it requires a balanced phase per U,V,W just like the outdoor compressor does. Checking U, V , W to the DC- wil give you that. But you can also use resistance as a guide when known. If a position lock occurs, the motor has stalled. The system does not recognise a continuing rotation. This check is the same as all three phase motors using brushless DC. 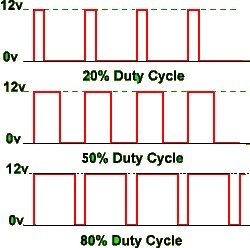 A control voltage must be present at VCC (control power ) and GND which you can consider common or 0V. If this follows the same as all the others it will be around 15Vdc approximately. (when power is on and in standby - no run mode) you will see this voltage coming back on each one as a on/off signal while the motor is rotating. If you do not have a power supply at VCC (control power ) and GND , it is also faulty. That will be the suppying pcb that is faulty. All smaller DC motors such as splits , might use a single hall effect system but watch out for the 3 phase power input models as they have 3 hall effect sensors and any one that is faulty will render the motor useless. They are inbuilt to the motor so they cannot be replaced and only the motor can be replaced. For you coastal people, make sure you do not have oxidised connections at the harness plugs or for all else make sure that they are secure and not loose. 1 - check VCC & GND for a voltage present when power is on but unit is not operating in any mode. if not there the pcb is faulty. 2 - Check for return voltages of the same amount back on HU, HV, HW as an independent multimeter test referenced to the GND connection. 3 - if all checks out , replace the motor anyway. My experience is that most times it is the motor internal circuitry. That is to say.. the fan motor you just installed is. Easy , swap any two phases. How do we swap a single phase , split phase AC motor. Its a bit harder as you need to swap around any Auxiliary (start) or Main (run) windings. And hey they are not very accessible. Well have a look at the two drawings..
One is from an older ducted unit, Here you can see that the capacitor is fed internally from the motor and in this case , motor reversal is impossible. So hooray for the manufacturer making that impossible for us to get wrong installing it. Here we cant access anything. The motor power connections are all internal. You will find most are like this to prevent such an occurrence. The other picture (my one) shows a typical split phase motor, in this case the negative is accessible and is attached the fan run capacitor. You will see many of these types , fasco motors for example have this orientation on some designs. 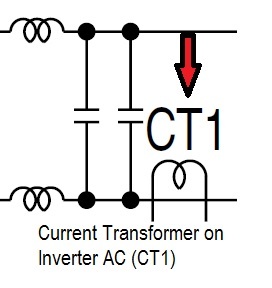 In this example by swapping the negative to the other side of the run capacitor the motors direction will reverse. 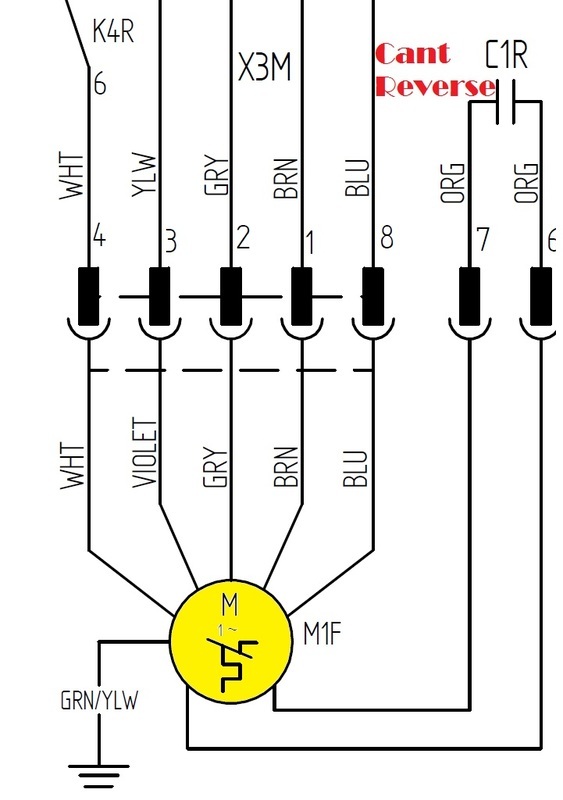 Now typically you wont get this wrong if you follow the colour codes on the wiring diagrams but sometimes, we forget. And then the motor pushes little air but will draw less power at least. Even if the power supply orientation allows the active to the capacitor and the negative on the other side , swapping capacitor wiring will reverse the motor. I used to like doing this to the PSC(permanent split capacitor) which is what the drawing is anyway in air conditioning motors when they mechanically seized to see if reversing direction could free the compressor rotor, I remember it worked once. Contactor overloads seems easy enough to pick, size them to your motor and your done. Of course its not that easy with some inductive loads. Compressors react very wide to phase discrepancy's , they have heavy torque on the motor from the compression cycle and any loss from the motor driving torque will cause a larger change in amperage. Fan motors , be it on evaporator or condenser fans may not react as largely. I had a case with a Ziehl-EBM 3 phase fan which when a phase was lost or down , changed very little on the amperage. It makes sense since , these motors on evaporator or condenser coils have no real statical pressure load ahead of them and reduction of airflow will reduce amperage on any normal fan motor. The change in the amps on the fan motor when it lost a phase was small, it overheated and failed (overheated) without tripping. The overload had the right range and was set for the motors full load amps but it had larger amperage scale so fractional or minor adjustments could not be made. The result being, another overload was need with a lesser deviation in amperage to a a more fractional scale. This fixed that problem. The new overload dropped out the fan on failure where the amperage went up only by 0.6 amps. Lessons learned , always a good idea to consult a manufacturer for ideal protection devices. Now a fuse as we know, cuts out supply of power on overload of current for an appliance with wiring protection. It uses an increase in heat by more current flow to create a condition of failure with a filament or sensor. It is designed to protect an appliance against dangerous heat which can cause wiring failure or fire. The fuse is set against a surface and measures heat , It may be placed against a coil in a domestic fridge for defrost heater safety and as you will see in the diagram below, it is used to protect an outdoor split system terminal block against overheating. Once the fuse ruptures on heat it cannot reset and will require replacement. It is designed to cut out the mains supply to the heating device. In the case of the terminal block, it cuts out indoor unit supply or shuts down operation. TPS or tough plastic sheathed cable is rated to 75.c , and so a thermal fuse may be installed in a split systems outdoor terminal housing to protect against fire or damage by being rated at the cusp of that temperature. This can occur with poorly connected cables or degradation of terminal housings connections. It is a misadventure risk, not one typical that will occur. What I need to tell you all is that while the fuse is for external heat protection and not current detection, any high current caused by short circuits will cause this fuse to fail. The equivalent heat in current to the heat fuse rating can create the same conditions to fuse. And so if you have one of these equipped in an outdoor and your indoor has no power, you must check the TFU or "thermal fuse unit" for any failure. It can happen with indoor fan failure or collapse of power in the indoor pcb by a serious short circuit. Not all outdoor units are equipped with a TFU in the terminal block but always look for them with indoor power losses.